Book an appointment with us to see our designs. 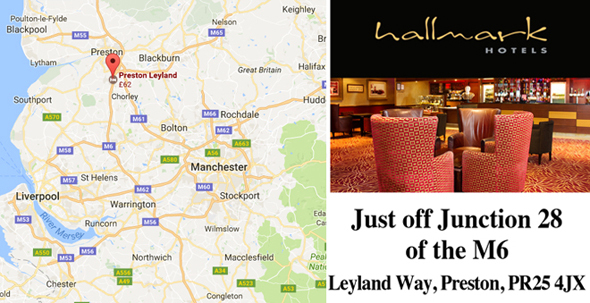 We hold most of our appointments at The Hallmark Hotel Preston Leyland, conveniently located at Junction 28 of the M6. If this is too far to travel then please order a sample of the design that you like which we will post out to you. Complete your details below to arrange an appointment. Appointments are free and no obligation to order. They are a great way of seeing a range of our designs and usually last around 45 minutes. We also encourage you to bring any colour swatches that you have along with you for us to discuss.